Ours was a familiar story. 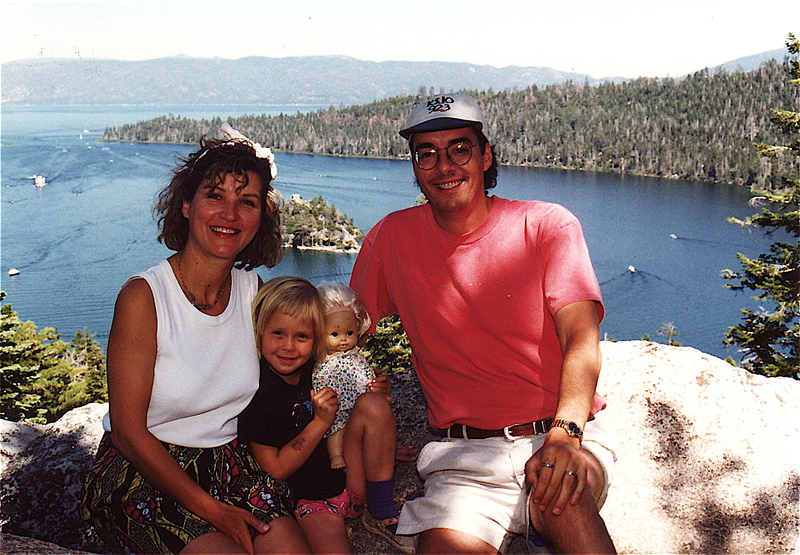 My wife, Erika, and I turned to adoption in 1991. We thought surely there were millions of babies out there in need of two loving people desperate to be parents. Then we learned about the realities of adoption. 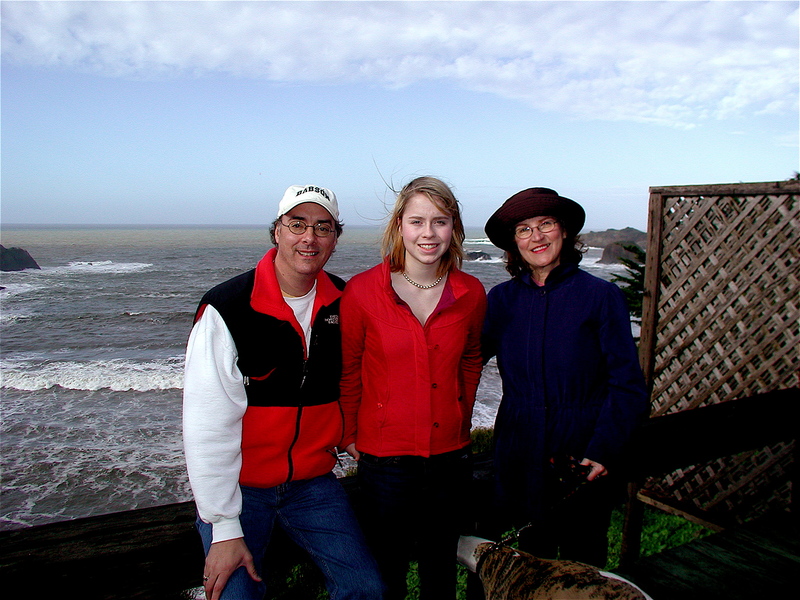 A foreign adoption seemed our best bet, but options were limited then. To improve our chances, we’d need to be open to an “older” or “special needs” child. This was not how we envisioned starting a faily, but we wanted to be parents. 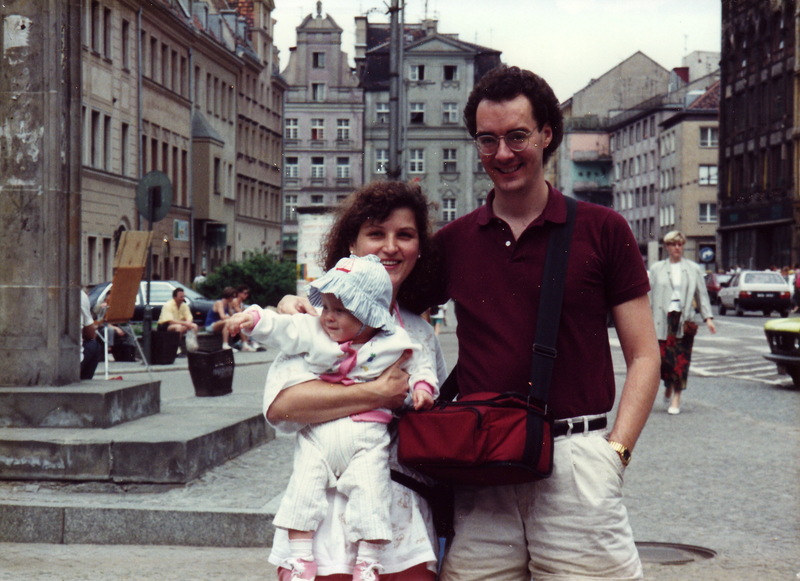 a LOT flight to Poland to receive our daughter, whom we’d named Casey. It was nothing less than a miracle. Casey was an unwanted pregnancy, a three-pound preemie whose twin sister had been stillborn. She went straight from the delivery room to an incubator to an orphanage in Mrągowo in Poland’s northern lake district. At 14 months, she was withdrawn, listless, unable to sit, crawl or feed herself. Medical records were scant. But to us she was perfect; nothing that two able bodied Americans couldn’t fix with love. But in the privacy of our home, things were often different – violent tantrums, crying jags, defiance. We looked for answers from friends, pediatricians, therapists, counselors and pastors, but were assured repeatedly that Casey was just high-strung; she’d grow out of it. In the meantime, we had to be tough with her. Though fully aware of her abandonment and adoption, the professionals never explored the matter. At 17 years old, Casey gained early admission to Bennington College in Vermont with a bright future ahead. She wanted to make a difference in the world. I can’t have another Casey, a do-over. She was one of a kind. But regardless of the tragic outcome, I’ll always consider myself the luckiest guy in the world to have been her Dad for 16 of her 17 years. From her death we learned that adoptees can be exposed to disorders that are still misunderstood by many professionals. Not every adoptee has attachment issues, but for those who do, treatment can be elusive. John Brooks is a former senior media financial executive who has turned to writing, suicide and adoption advocacy since Casey’s death in 2008. He recently completed a memoir about his experience as an adoptive father and his journey to understand his daughter’s suicide, titled The Girl Behind The Door: My Journey Into The Mysteries Of Attachment. He also writes a blog, ParentingandAttachment.com. Thank you for sharing your story so openly. It brings up not only a reminder of why I adopted as well, but my passion for developing better understanding and treatment of attachment disorder. We are losing too many kids, whether to suicide, drugs, or general lost potential in their life due to self-sabotaging behaviors. I am glad you share your story and it has inspired me! I read your story about Casey and I thought about my own life. My mother was a Greek civil war orphan who suffered from RAD. She dumped my sister and I into foster care here in the states then moved back to Greece. She ended up dying at 51 a homeless alcoholic. I too suffer from RAD but I’m fortunate that I love my children beyond belief but no one else. I have no desire for close relationships, only short affairs once or twice a year. I was afraid for many years I would end up in prison because of my lack of emotion concerning people who hurt me. I’m okay because I understand my own coldness. I choose to work and live in relative isolation. My daughter is going to grad school to focus on psychology. This has impacted her life in an extreme way as well. I’m sorry for your pain but being the daughter of an Eastern European orphan, I can tell you Casey’s demons tortured her everyday. I was with one family who decided I needed to be reunited with my mother in greece when I was 14. My mom sold me, beat me, and tried to kill me several times. I ran off to Israel to save myself but I’ve also been in and out of homelessness since then. Things never got better for my mom. My daughter and I hope that therapy will allow me to trust life enough to feel sincere love and joy. It will be a long road, I’ve never been in love (except with my babies) and I can’t handle close relationships or even coworkers. If you ever want to correspond with me, my door is open. I can give you insight into what Casey would have become more than likely. She is no longer suffering from what she had no control. In the end, g-d loves us enough to bring us home. Thank you for sharing this story. Tragically, on the day that you published this article, my lovely 22 year old daughter, Kaycee, committed suicide. I gave birth to her (not that the love is any different) so I know that she received alot of love and attention, from birth. However, my mother and sister are both schizophrenic. 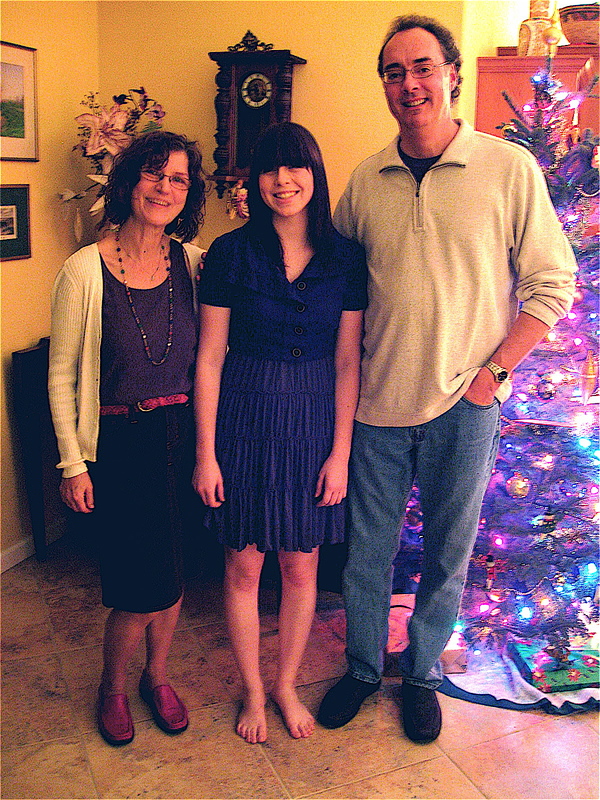 Kaycee had been a loving, intelligent, sweet child and teen. Shortly after she turned 18, her behavior seemed to begin changing. By the age of 20, she had walked away from her college (where she was on full academic scholarship) and became hooked on Vicodin and then Heroin. Then the suicide attempts started. Her father and I tried so hard to get her help, but she was resistant. Since she was over the age of 18, we could not force her into care. My reports of our family history of schizophrenia were ignored by mental health care providers. I know that our daughters’ stories are different, but they are also the same in many ways. I am grateful to the ACEs study and hope that sharing the tragic stories of our children may cause members of the mental health community to begin taking these issues seriously….and begin appropriate testing and treatment for all who are in need. Oh geez, I am so very very very sorry. There are parallel stories in my narrative – adoption and teen suicide. Casey’s suicide simply crushed my soul. I didn’t want to live on. I wanted to go. I couldn’t live without my Casey. But here I am, trying to carve out a life worth living. But the truth is, life remains empty and pointless without my Casey. This is what I do to try to give myself purpose and to give meaning to Casey’s tragically short life. I feel your pain so very very very much! I am adoptee , twinless twin., long-term foster child; was diagnosed with Adult Reactive Attachment Disorder at the age of 64 or so. Puts a great deal of my struggles into perspective.. AND… feels a lot like too little too late. As long as you’re alive and kicking, Judith, it’s never too late. We’re the same age. I launched ACEsTooHigh and its companion site, ACEsConnection, 18 months ago. Mind you, I don’t feel optimistic every day, but I’ll be damned if all my great experience (7 ACEs) will go to waste! I agree that alive and kicking is to be valued. However, along with the Attachment Disorder, I also sufferfrom Multiplie Chemical Sensitivity, Hypothalmus Disorder (usually “Wastebasketed” as Chronic Fatigue Syndrome. ), Severe sensitivity to Electrical Fields. You have great courage, Judith. Our beautiful adopted son Ilya, killed himself this past October. It is a pain like no other – how we loved that boy, and love him still. Knowing about attachment (and even more importantly, I think) about the impact of early trauma, we did all we could to help him…..still it seems as though there are so many other factors, all woven together. Ilya was very attached to me, and seemed to enjoy being part of our family, so I don’t think attachment was really and issue. But his disposition – he was a very high-achieving, anxious boy – was against him, It turned out that while he was brilliant in math, he was not good at learning English when he arrived here at age 13. Not being able to do well in school was almost unbearable for him. Likewise, while his adopted brothers (also adopted from Russia as older boys) were able to laugh at their mistakes and take other’s amusement in good part, Ilya was always distressed about being misunderstood, and couldn’t bear being a source of even kindhearted laughter. And how does genetics play a part? We also adopted Ilya’s sister and she too, suffers from high anxiety and PTSD. But, while I would encourage potential adoptive parents to understand the possibility that hard beginnings MAY have significance, even in infant adoption, it isn’t always the case. We have two Russian boys who are as easy to parent and non-challenging as our very easy biological children are. I am a twinless twin and from my experience and from speaking with other twinless twins, I would say that a large part of Casey’s problems probably stem from her being a twinless twin. Many people do not realize that the loss of a twin, even in utero or at birth, leaves the surviving twin with a profound sense of loss that is inexplicable to anyone not born of multiple birth. There is a bond that forms between twins and higher order children like triplets and such that is unique to children of multiple births and starts in the womb. The tantrums, the crying jags, the defiance, a sense of isolation are all common to twinless twins, regardless of the age they lost their twins. I think that this more primal loss was the real factor in Casey’s pain and what eventually led to her death. Many twins, who lose their twins at an older age, turn to suicide because they cannot take the separation from their twin. This is something that you may not have heard of or understood. I think it is important though, given Casey’s background. Twinless Twins Support Group International (TTSGI) was founded in the 1980s by Dr. Raymond Brandt, who lost his identical twin at the age of 20. The group exists to support and help twins who lost their twin, either through death, adoption, separation or estrangement. The TTSGI website is http://www.twinlesstwins.org. Breaks my heart. Still, thanks for writing it and thanks for doing what you are doing. Your story is all the more poignant for me given my recent close attention to the progress of these two new American girls and their delighted, exhausted, and grateful parents. Thank you so much for sharing your story, which I’m sure was incredibly difficult to do. As an adoptive parent and someone who is just generally passionate about the well-being of all kids, having a deeper understanding of the impact of trauma in early childhood can do nothing but help us be better parents, advocates, and members of our community. Thank you, again.